OAKLAND, Calif., U.S. — Blue Bottle Coffee announced today that it will open in the Seongsu neighborhood of Seoul, South Korea in the second quarter of 2019. The opening will mark the second international move for the Oakland-based company since it launched in Tokyo in 2015. Blue Bottle will enter the market directly as Blue Bottle Coffee Korea, Ltd. The opening was first hinted at in November 2017, when CEO Bryan Meehan told a group at the World Coffee Leaders Forum in Seoul that he saw great potential in the Korean market. Located in the Seongsu neighborhood of Seongdong District, often referred to as the “Brooklyn” of Seoul, the red brick home of Blue Bottle is surrounded by industrial warehouses and former shoe-and-garment factories. In recent years, young artists and designers have renovated the buildings into art spaces, transforming the area into a unique cultural hub complete with galleries, fine restaurants, craft breweries, and startups. Seongsu is situated next to the idyllic Seoul Forest, an urban green space frequented by families of many generations. 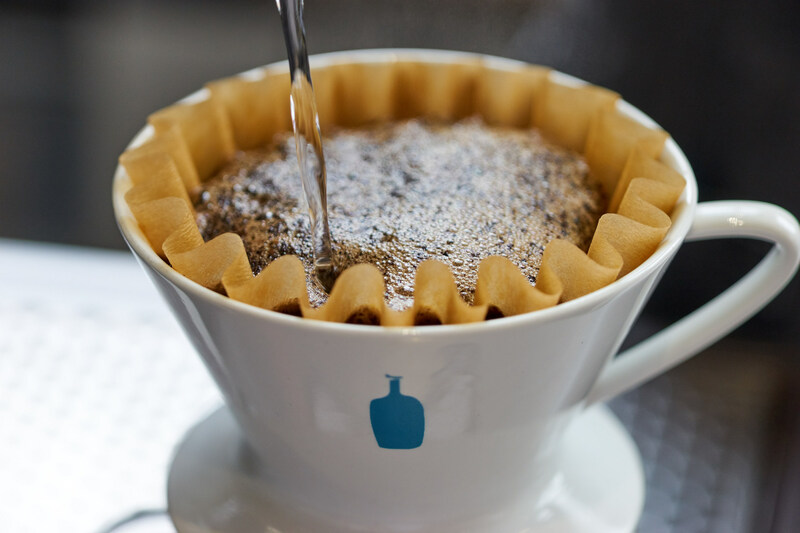 Known for sourcing the world’s most delicious and captivating coffees, Blue Bottle Coffee roasts beans by hand in small batches. The Seongsu cafe will include a roastery in the same building, so that coffee can be served at peak deliciousness. The location will also feature a spacious training lab where baristas will learn their trade. Every Blue Bottle cafe is a unique representation of the Blue Bottle craft and a respectful tribute to the community in which it is located. Guests of the Seongsu cafe can expect to see new menu items and merchandise that are brand new and specific to Seoul. Blue Bottle Coffee was founded by James Freeman in Oakland, California, in 2002. A self-declared coffee lunatic, James hand-roasted beans in a 182 square-foot potting shed and then delivered them to friends from his Peugeot wagon. Sixteen years later, Blue Bottle is now a network of 56 cafes in the U.S. and 10 cafes in Japan.